First of all I would like to thank Solar Entertainment Corp. for inviting me for the premiere of TRUMBO. The movie is very beautiful and I would strongly recommend to watch it especially in time of our election. Here they show how they fight their political beliefs and it’s an eye opener for the first time to vote for the coming election. I also saw my Mom to Cleo who always very supportive to her husband and at the same time very strong for their children. 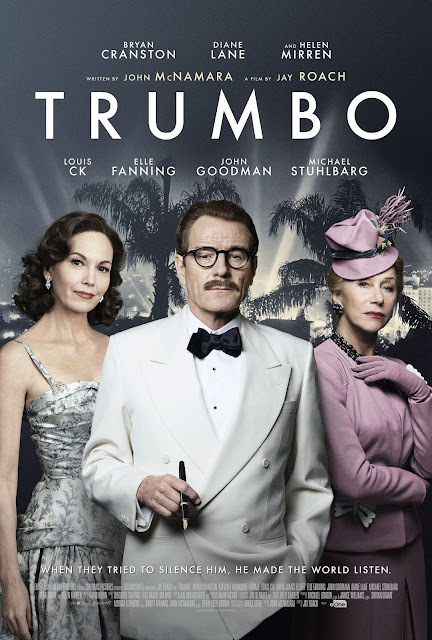 There is also resemblance of my childhood when my dad was detained because of politics just like Trumbo. It’s good my Mom is always there for us. Just like my Dad, who risked everything to keep his family together. Lastly, I discover here the holywood worst kept secret. I can say that the actors and actresses here we’re excellent in their acting. They internalized their role as if their not acting, they just do it very normal. The setting of the movie I love it so much, it’s really 1940’s. Once again please don’t miss this good movie and it will be showing already tomorrow, March 16, 2016 in your favorite theaters.